Woohoo - We have over 1,000 customers all over the world! 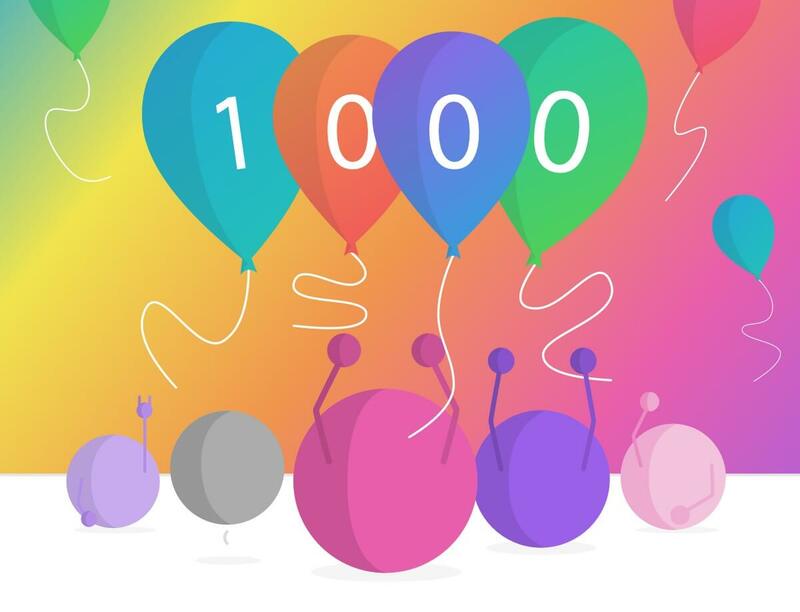 BlogWoohoo – We’ve officially hit over 1,000 customers! Woohoo – We’ve officially hit over 1,000 customers! That’s right, we have over 1,000 customers all over the world! This is a huge milestone for us and we couldn’t be more excited about what the future holds. Thank you for your continued support and following us on this journey. We recently launched some great new features like Activities and a whole Discussions redesign, alongside some huge improvements to the ideas list. These improvements ensure you have the best tools at your disposal to foster collaboration and transparency. Work never stops at ProdPad, and we’re currently working on some very exciting improvements to the roadmap! We can’t wait to share with you the latest on agile roadmapping so that you can build the best products. If you’d like to get involved, let us know if you’d like to join our brilliant group of beta testers to have your say on the final version. Thank you for being awesome, and as always – let us know if there is anything else we can do to make ProdPad better for you!